Well, I’m jumping on the Capture the Colour bandwagon. Travel bloggers are clamouring over themselves to post their best photographs from exotic locations around the world in an effort to out do one and other and walk away the triumphant winner of the whopping £2000 prize. 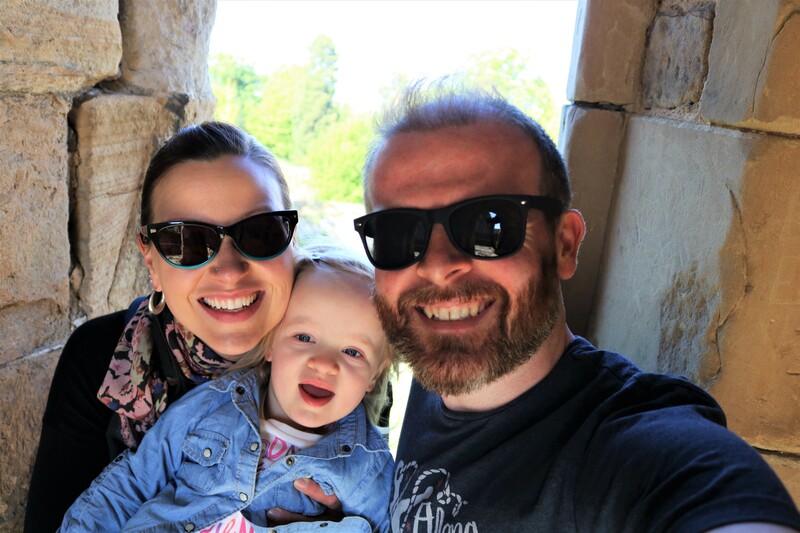 I too have photographs from around the world, but I have decided to focus solely on the UK, my current home and the place where I have done the most travelling over the last few years. I hope you enjoy the colours of the UK! There are few things more iconic than the red English phone box. Add an ancient church in the background and you have a perfectly English vista. This particular phone box style, the K6, was designed by Giles Gilbert Scott in 1935 to commemorate the Silver Jubilee of the coronation of King George V, with about 60, 000 being installed around Britain at the time. 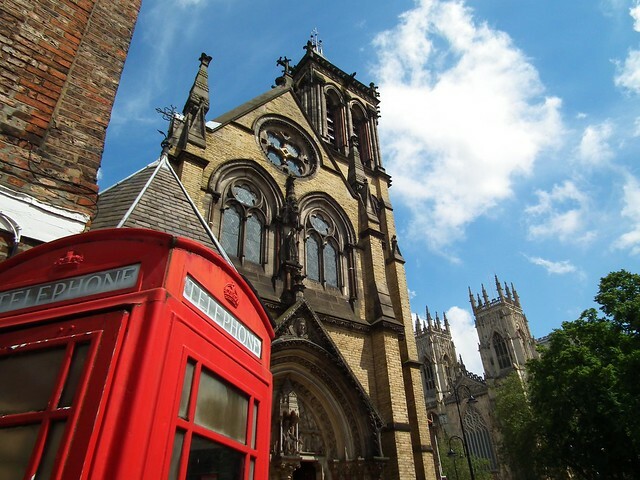 This well-preserved example was found on a sunny day in York and arguably offers one of the best telephone box views you’ll ever come across! The spring in Wales in full of adorable little white sheep, over 8 million according to some accounts! There are only about 3 million people in Wales so these fuzzy little creatures far outnumber people and give the country a somewhat dubious reputation, but I digress. 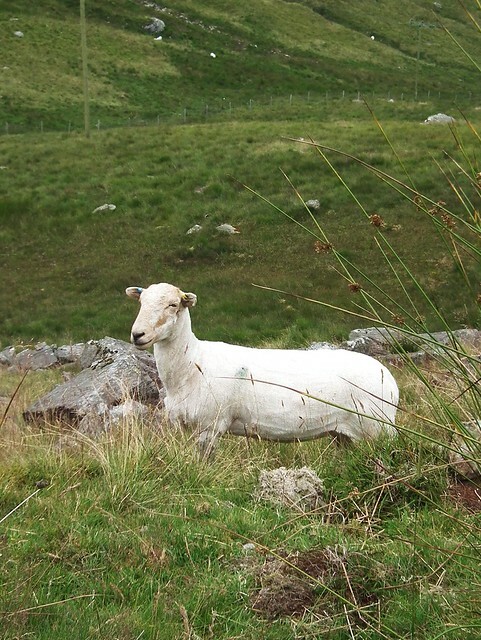 At the end of our trek up Mount Snowdon last summer we happened upon this recently sheered Welsh Mountain Sheep, a small and hardy breed that is perfectly adapted to live in the rugged Welsh mountains. Don’t you just want to give her a snuggle?! If the theme is green than the only option really is Ireland, or in this case, Northern Ireland. There are few areas of the UK that are more picturesque than the Antrim Coast. On my first trip to Northern Ireland Damian’s aunt took us on a day long tour from Belfast, along the Causeway Coastal Route to the breathtaking Dunluce Castle. 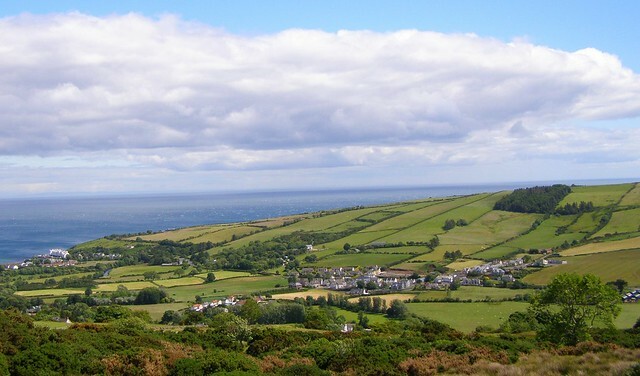 I will never forget coming up to the top of a great hill, looking to my right and seeing this view stretched out below me – all I could keep saying was “it’s just so ….green!” I guess they don’t call it the Emerald Isle for nothing. Here time is tested by tide, architecture by the elements and the prevalence of sky seems to question the earth’s substance. In this work human life is tested against planetary time. 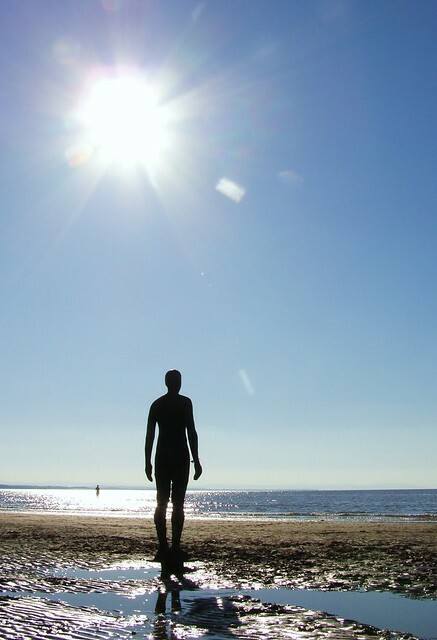 This sculpture exposes to light and time the nakedness of a particular and peculiar body. It is no hero, no ideal, just the industrially reproduced body of a middle-aged man trying to remain standing and trying to breathe, facing a horizon busy with ships moving materials and manufactured things around the planet. By night the Golden Mile in Edinburgh is indeed golden, bathed in the warm glow of streetlights. 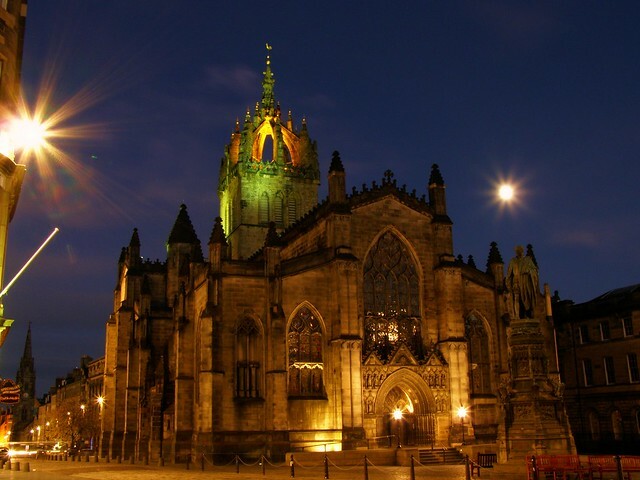 St Giles’ Cathedral is the historic City Church of Edinburgh, and the uniquely crown shaped steeple has featured prominently in the Edinburgh skyline since the 14th century. Night is one of the best times to explore the historic Royal Mile, being one of the few times that it is free from marauding hordes of tourists and the incessant blaring of recorded bag-pipe music. On a crisp October evening you could almost feel as though you were the only person in the city, not just one of the millions that flock to the city every year. Mission accomplished! Not only did I manage to find photos for every colour, but also one from every UK country as well! The mission has also made me realize how much of the UK I have had the opportunity to visit, and how much more I want to see. I think another road trip is in order! Well now it’s my turn to nominate five fellow bloggers to join in the fun. Thanks, I spent a lot of time choosing them! I like the photo you chose for blue! That’s a really cool one. I would definitely enjoy seeing that installation. It must feel kind of eerie on a foggy day when there’s no one else on the beach except for the statues. Thanks, Audrey! I imagine it would be eerie on a foggy day, with the statues looming in and out of view. It kind of sounds like what nightmares are made of!